Increased social demands for a free access to information and the initiative of international research-funding institutions (Berlin Declaration) encouraged the German Society of Surgery to launch a new open access surgical journal entitled Innovative Surgical Sciences – The Rapid Journal of the German Society of Surgery. It is the aim of the journal to create the future of free digital information to the surgical community worldwide in order to promote surgical and scientific knowledge. 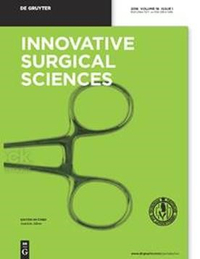 Innovative Surgical Sciences is a peer-reviewed journal and welcomes English-written original articles, review articles, case reports and letters-to-the-editors covering clinical and experimental studies in all surgical sub-specialties. All articles will be subject to a rapid peer-review process, allowing a publication within 30 days after submitting. In accepted and published articles the peer-review assessments will be published simultaneously together with the paper.